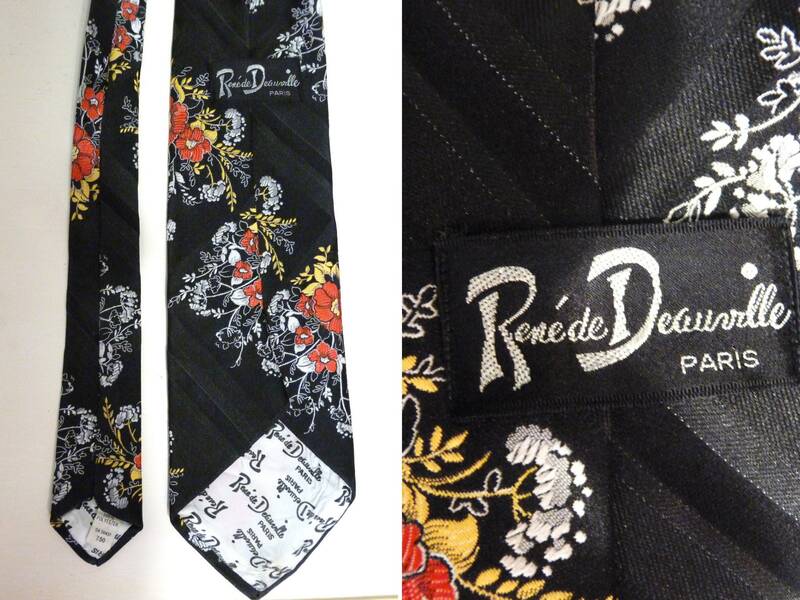 Gorgeous polyester tie. 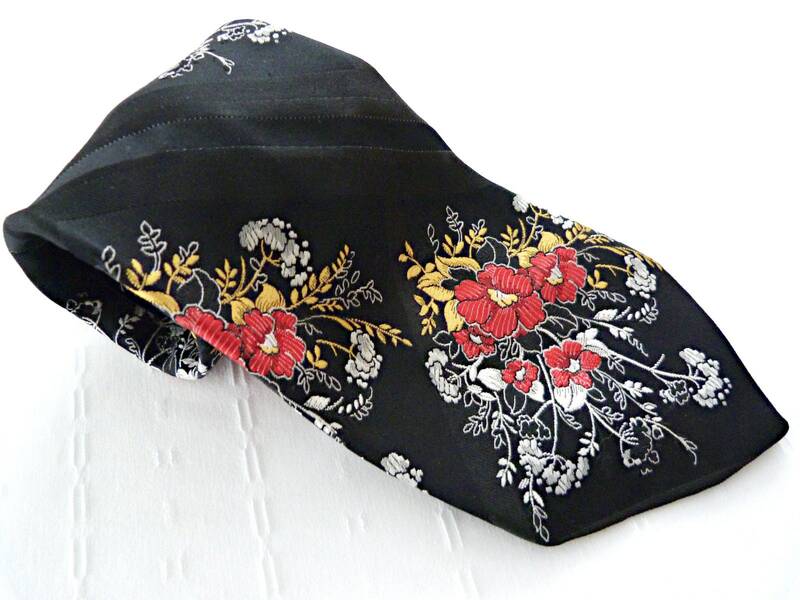 Beautiful black brocade fabric with floral pattern directly twined in the weave in tones of white, red and yellow. 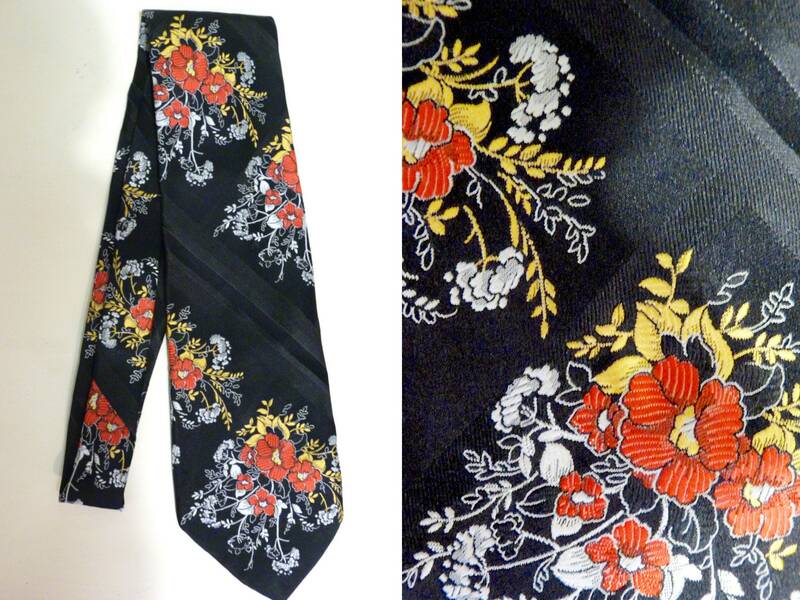 Wide shape typical of 1960s-70s Kipper ties. With its vibrant contrasting colors and its field flowers pattern, it's a bit kitsch, but not too much! 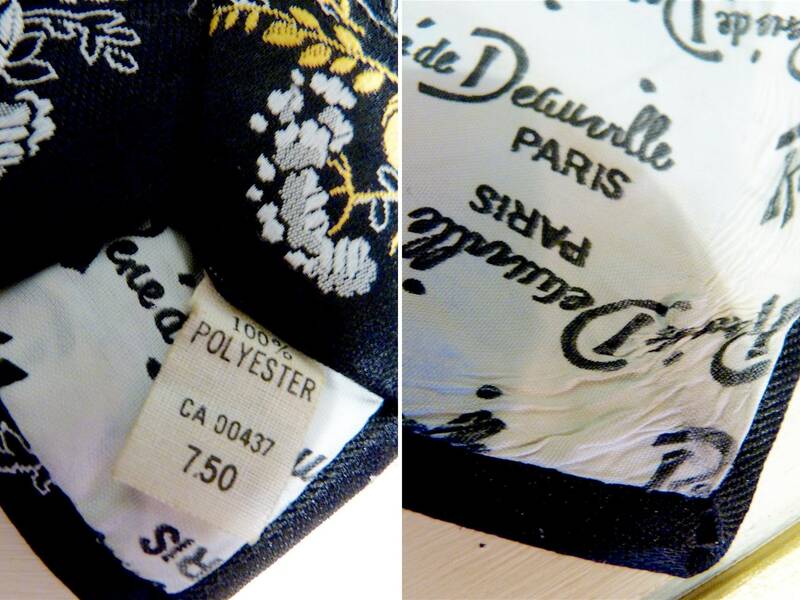 A very beautiful quality and a distinctive look!